Last week's post "China Does Not Want Your Rules Based Order" created a stir. Many who read it were inspired to write up their own view in response; some of these have been posted in the comments thread to the original post, others on Twitter, and yet others have been sent to me in more private forums. I have not had time to properly respond to this flood of commentary, and I doubt I will ever have time to respond to it all. However, a few of the critiques I have seen are too good to languish in comment threads unnoticed. I have collected the best of these here, along with a few of my own thoughts in response. First off, multiple readers have pointed out that my post makes essentially the same case Peter Mattis made a year ago in a National Interest essay titled "Stop Saying China is at a Crossroads." I was unaware of Mattis's column. Had I known of it I would have cited it, for its message is almost exactly the same as mine, just stated in far less sensational language. This stylistic choice on my part has been criticized by some, but this sort of criticism misses the mark. There is a purpose behind the pungency. Americans have been declaring that China is at a crossroads for three decades now. This is the default setting, a frame of thought that Americans conjure up effortlessly even when (perhaps especially when) the distractions of a busy world press upon them. It also happens to be wrong. Simpy stating that is not sufficient. It is not enough whisper that the emperor has no clothes. The truth must be shouted at him. I think your assessment of everything here is pretty accurate, but I'm not sure you're viewing the significance of it in the appropriate mindset. I don't question the idea that China has chosen its path, and that that path runs perpendicular to the liberal rules based order for which the US has been the guarantor for more than half a century. The evidence at this point is consistent and pretty much irrefutable. That being said, the choices they've made make this something of a Mexican standoff, if not now then something that is quite clearly headed in that direction. The constant reminder of choice is thus not naive or ignorant of the path China's pursuing but is instead a very tactical form of positional bargaining. The US will not *choose* to break international norms and start a war with China. But the US will, I believe, stand firm and watch as China creeps towards that precipice and it doesn't hurt us at every stage to remind China that each choice is bringing that eventuality ever closer. One can justify the rhetoric you're criticising even if they except your premise because if what you say is true then the courses are set and the game is now about credibility and legitimacy. By calling out every choice China makes we highlight their illegitimacy and strengthen ours. Ideally this would amount to (if not an actual deterrent, than at least) a effort towards compellence. This all goes hand in hand with countering China's broader regional strategy of trying to forestall attempts at collectively counter-balancing their rise through multi-lateral regional alignment and engagement. China's long running dismissal of, and their subtle attempts to undermine, ASEAN also make this pretty clear. We need to be standing firm behind some sort of line in the sand that shows we're not going to let them dismantle the international system we've built. It's both the right thing to do and in our national interest, at a grand strategic level it also seeks to provide the bulwark around which that counter-balancing can solidify and set in its heels. Prime's argument is expressed in the language of conflict bargaining, and his main ideas should be familiar to anyone who has read Schelling's Arms and Influence or The Strategy of Conflict. Prime asks the first question anyone should ask when an international actor tries to signal its intentions in an incomplete information scenario: do the things said genuinely reflect the beliefs of those saying them, or are they simply rhetorical tools in a bargaining game? Does all this talk of choice reveal actual American sentiments, or is it a more cynical attempt to maneuver the Chinese into having the "last clear chance" to avert war? A chess game can end in win, lose, or draw. Let’s change the game by adding a fourth outcome called “disaster.” If “disaster” occurs, a heavy fine is levied on both players, so that each is worse off than if he had simply lost the game. And the rules specify what causes disaster: specifically, if either player has moved his knight across the center line and the other player has moved his queen across the center line, the game terminates at once and both players are scored with a disaster. If a white knight is already on the black side of the board when the black queen moves across to the white side, the black queen’s move terminates the game in disaster; if the queen was already across when White moved his knight across the center line, the knight’s move terminates the game in disaster for both players. And the same applies for the white queen and the black knight. What does this new rule do to the way a game is played? If a game is played well, and both players play for the best score they can get, we can state two observations. First, a game will never end in disaster. It could only terminate in disaster if one of the players made a deliberate move that he knew would cause disaster, and he would not. Second, the possibility of disaster will be reflected in the players’ tactics. White can effectively keep Black’s queen on her own side of the board by getting a knight across first; or he can keep both Black’s knights on their own side by getting his queen across first. This ability to block or to deter certain moves of the adversary will be an important part of the game; the threat of disaster will be effective, so effective that the disaster never occurs. In fact, the result is no different from a rule that says no queen can cross a center line if an opponent’s knight has already crossed it, and no knight can cross the center line if an opponent’s queen has already crossed it. Prohibitive penalties imposed on deliberate actions are equivalent to ordinary rules. Is this the aim of American rhetoric on "China's choice?" Possibly. It is likely that statements by Senator McCain, Secretary Carter, et. al. are a bit of bargaining and a bit of honest belief rolled together into one. However, if one part dominates, it is the second. I say this because the "China is at a crossroads" meme is not just rhetoric that rings from the pronouncements of America's highest policy makers or the podium's of her official spokespeople and press secretaries; it is a way of thought that permeates American officialdom. Talk to think tank fellows, naval officers, congressional aids, even grad students, and you will hear these same notes repeated. I believe this accounts for the popularity of the original post. The analysts and reporters who have reached out to me after I published it all had similar stories to tell: they thanked me for saying what I did because they feared their colleagues genuinely believe China is still waiting "at the crossroads." This is a deeply ingrained belief, not a carefully chosen bargaining position. 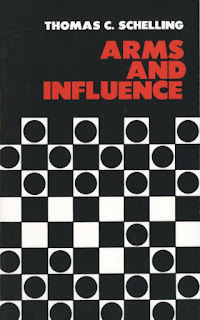 Deterrence and compellence only work if the rules of the game are known and understood by both parties. On this count the Americans have been sloppy. They have never clarified the rules of their game. The constant talk of choice is never coupled with clear descriptions of the exact consequences of choosing wrongly. Mostly American officials frame the choice in ornate and abstract language; if China chooses to disrupt the ruling order, they say, China will "create a future that resembles Asia's darker past." How are the Chinese supposed to interpret this kind of rhetoric? Is not a return to the dynamics of Asia's past the entire purpose of their project? Offering China a choice to join the international order does not bolster American credibility, nor does it pass the last clear chance to jump off the escalation escalator to Beijing. The Chinese who listen to American lectures about the choice they face are most likely to conclude that Americans are either 1) too foolish to realize that they made their choice long ago, or 2) are smart enough to realize this, but lack the gumption to do anything meaningful about it. China's use of history to legitimise CCP rule and justify sovereignty claims gets us, I think, to the crux of the matter. For the past century, the legitimacy of any Chinese government has depended on its ability to defend China's sovereignty and preserve its borders. But what are those borders? Can the CCP meekly accept the borders imposed on a weak China that has now, to use Mao Zedong's phrase, "stood up" under communist leadership? China is not reckless but the CCP must at least give the appearance of recovering lost territory. Revanchism is an intrinsic part of the story of China's "Great Rejuvenation". 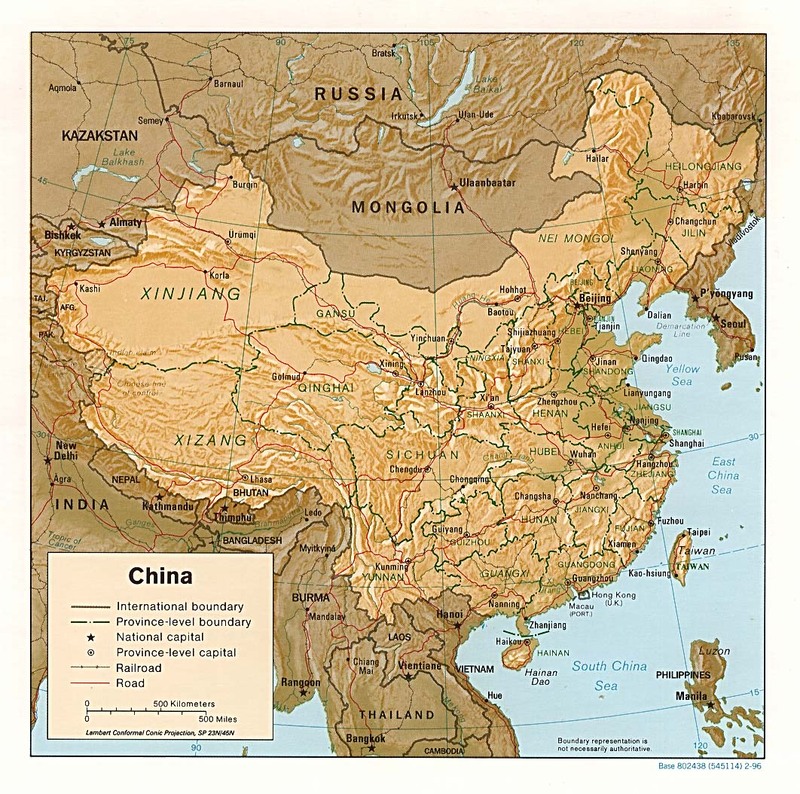 The lands lost to a weak China include what are now parts of Siberia and the Russian Far East, Mongolia, Hong Kong and Macau, and Taiwan, as well as the Paracels and Spratlys in the SCS. Siberia and the Russian Far East and Mongolia are now beyond recovery. Hong Kong and Macau reverted to Beijing's rule almost 30 years ago. The US has made clear it will not support independence for Taiwan. Without US support, independence is impossible. With that core concern assuaged, Beijing can multiply the economic threads binding Taiwan to the mainland and bide its time, confident that irrespective of internal changes and how the people of Taiwan regard themselves, Taiwan's long-term trajectory cannot run counter to China's interest. Changing the status quo is not an immediate possibility but is no longer an urgent issue, although China still eyes Taiwan's Democratic Progressive Party distrustfully and will never entirely forgo the option of forceful reunification. That leaves the SCS territories to put some credible shreds of meat on the bare bones of the CCP's version of history as it navigates a second and more difficult phase of reforms and tries to manage social and labour unrest at a time of moderating growth and a future when slower growth will be China's "new normal". The very insignificance of the territories in dispute in the SCS may well be part of their attraction to Beijing for this essentially domestic political purpose. Kausikan is more sanguine about all of this than I am, but the take away is the same. For the Communist Party of China, territorial disputes over God-forsaken atolls in the middle of the ocean are an existential question. These islands are directly related to the legitimacy of the Party, and thus the survival of the Party itself. Whether or not 'legitimacy' as a concept makes much sense does not matter here. What matters is that the Chinese think it does and they act accordingly. The United States simply does not have that level of commitment to these atolls. It cannot have that kind of commitment—no matter what any American says, everyone in the region knows that America could withdraw entirely from Asia (and for that matter, Europe) without fear of domestic revolution or external invasion. The American republic is blessed with enormous privilege: for her, international politics does not mean walking the knife's edge between survival and extinction. The world looks different when viewed from Beijing. China's ruling regime occupies a precarious position, and the dangers they face are reflected in the policies they pursue abroad. This emerges as a recurring theme when the different points of contention that divide China from the West are examined. Most the aspects of the 'rules based order' that China rejects are things they view as an existential threat to the rule of Party. The root problem then is not China's rise, but the nature of the Chinese regime that guides it. As much as we may like to talk about making China a "responsible stake holder" in our order, the brightest minds in Zhongnanhai know that full participation in the American system means relinquishing their grip on power. The Arab Spring was a horrible shock to the Chinese leadership for just this reason. The speed with which long respected, rule-abiding members of the liberal order were abandoned by the United States once the street protests began convinced Beijing that American promises about the benefits of "responsible" participation in the American system were lies. Nor could the Chinese ignore that cherished aspects of that order, such as technological integration with the wider world, the free flow of information between borders, and an international network of activists and journalists, were critical to the collapse of governments across the region. Our rules based international order is a liberal one, and full participation in it will ultimately be fatal to any illiberal regime that joins it. The Communist Party of China recognizes this. The Party's real choice has always been to either give up their control over China in order to join the existing order or to try and create a new order more friendly to their continued hold on power. Given these existential stakes at play, I am extremely skeptical that our rhetorical nicties will make any difference in the Party's calculations. They have decided that our order and their regime are fundamentally incompatible. This judgement is probably correct. Our choice then, is simple: we can change the nature of the international system we have built so that it has space for illiberal regimes within in it, or we can try to actively oppose the rise autocratic powers who wish to overturn the order. Compromise or containment. From the perspective of Asia, the "China choice" rhetoric furthers neither end. Where it might make a difference is inside the United States itself. As mentioned earlier, America could lose her entire alliance system in East Asia and still live without fear of foreign invasion, and Chinese salami slices in the South China Sea are far less dramatic than a disaster of that scale. Thus even without the growing isolationist sentiment in American politics, regional allies have good reason to doubt whether America is actually committed to the international system she has built. This doubt substantially strengthens the Chinese position. If United States wishes to maintain a credible presence in the Western Pacific, then its own people need to be sold on the project. The pageantry of declaring that the Chinese have to choose between a rules based order of the present or a return to the dark anarchy of the past might just be necessary to get the American people on board. I am going to stop with that for now. There are a few other comments and reactions I want to respond to—especially Andrew Chubb's comment on the original post, and Mark Safranski's response post at Zenpundit—but this piece is already long as it is. I will have to save my thoughts on their comments for a separate post later this week. Peter Mattis, "Stop Saying China is at a Crossroads," National Interest (7 August 2015). It is possible that he is pandering to my biases here; I have said before and affirm now that Schelling is the most important thinker we have for understanding U.S. and Chinese decision making in the South China Sea, and that you will be better prepared to analyze what is happening there after you have read him than if you had the Sunzi or Clausewitz. 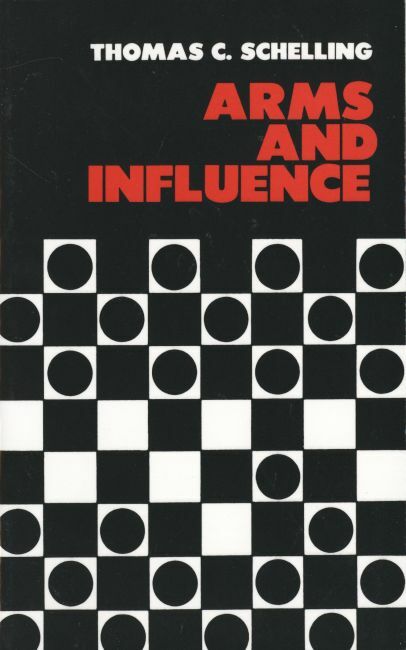 Thomas Schelling, Arms and Influence (Cambridge, MA: Harvard University Press, 1966), 100-101. Bilahari Kausikan, "Pavlovian Conditioning in the South China Sea," The Strait Times (1 April 2016). ...Like Southeast Asia, China also faces a choice. No nation has benefited more from the rules-based order than China. In just a single generation, China has become an economic superpower and a major player in international affairs. No nation in history has risen so high, so fast, and in so many different dimensions. And no nation has been a greater advocate for China’s success than America. Let me repeat: No nation has done as much to contribute to what China calls its “peaceful rise” as the United States of America. ...Regrettably, in recent years, there have been disturbing signs that China is maneuvering toward a policy of intimidation and coercion—harassing fisherman from the Philippines, Vietnam, Indonesia, and Malaysia; using trade as a weapon in disputes with its neighbors; using cyber to steal intellectual property from foreign businesses to benefit its own industries; conducting dangerous intercepts of military aircraft flying in accordance with international law; and in the South China Sea, shattering the commitments it made to its neighbors in the 2002 Declaration of Conduct, as well as more recent commitments to the U.S. government, by conducting reclamation on disputed features and militarizing the South China Sea at a startling and destabilizing rate. McCain's words echo those spoken by Secretary of Defense Ash Carter last week to the graduating midshipman at Annapolis. Read them both. Compare what they say. Behold the quickly crystallizing American narrative on China. This is a bipartisan message. It will be the starting point of a President Clinton's policy. Whether a President Trump will endorse it is hard to say. In either case, it is a narrative whose momentum is building. However, I cannot endorse all that is included in this emerging narrative, for part of it is deeply flawed. The flaw may be by design; if the purpose is to stir cold hearts and gain moral admiration of others, such flaws can be excused--that is how politics works. But this sort of things can only be excused if those delivering the speeches do not take the implications of their own words seriously when it is time to make policy. I speak of China's "choice." The thread that runs through all of these talks is that the Chinese have yet to choose whether they aim for order or disruption, the existing regime or the chaos beyond it. The truth is that the Chinese have already chosen their path and no number of speeches on our part will convince them to abandon it. They do not want our rules based order. They have rejected it. They will continue to reject it unless compelled by overwhelming crisis to sleep on sticks and swallow gall and accept the rules we force upon them. Observers of Chinese affairs have come to recognize two uncomfortable truths. The first is that China is a growing power whose might will continue to grow in every dimension we can measure for decades. The second is that the Chinese system of government is a fundamentally illiberal one, and the system of international relations the leaders of this system prefer reflects their illiberalism. These two things are not determined in the stars; either may change, and may change quite suddenly. But Americans will be better served if we plan as if both of these truths will remain true to the end of our lives. This is not what we have been doing. For the most part Americans were able to accommodate themselves to the first of these realities by pretending that the second was not true. China could become more powerful, we said, because it will not be illiberal for long. After all, on this Earth the arc of history bends towards justice. Those on the 'wrong side' of history do not last long. How can the illiberal hope to endure? Last spring it finally sunk in. Chinese illiberalism not only can endure, it is enduring. The old consensus cracked apart. No new consensus on how to deal with China has yet formed to take its place. But old habits die hard. We see this at the highest levels of policy, as in the McCain speech, where American policy is justified in terms of giving China a chance to choose the right. The same spirit is invoked further down the line. Ash Carter, for example, recently described American tactics in the South China Sea as a "long campaign of firmness, and gentle but strong pushback... [until] The internal logic of China and its society will eventually dictate a change." In other words, American policy is a holding action until the Chinese see the light. President Obama’s tour, which ended shortly before the whole HYSY-981 fiasco began, brought the President to Kuala Lumpur, Manila, Tokyo, and Seoul. One wonders if it was wise to exclude Beijing from this list—particularly seeing as the President’s agenda included signing a ten year military pact with the Philippines, declaring that the Senkaku/Diaoyu islands are under U.S. military protection, and cajoling South Korean and Malaysian government officials and corporate bigwigs into joining the Trans Pacific Partnership. From the Chinese perspective it is hard to look at this trip as anything but a hostile attempt to draw tight the noose and solidify a regional alliance to contain it. A similar story can be told for numberless Chinese diplomatic and military initiatives, from 2012's failed ASEAN summit to the seizure of Scarborough Shoal. This is what the Chinese do. I am convinced that the Chinese are so adept at doing this—finding the places where one small push is all that is needed to display American impotence or indifference—because they are trained from the beginning to see the entire edifice as a lie, and thus are aware in a way most Americans are not of the gap between the way we talk about our alliance system and the way Asians experience it. Wedded to this cynical vision of the current arrangements is an equally cynical take on the history of America's imposed order. Beijing is well aware that if it decided to do to Tonga now what the United States did to Hawaii more than a century ago it would mean war. At the time the United States suffered nothing of the sort. Not that American wars were without their own rewards—the Americans claim island bases like Guam and Saipan as prizes won through conquest. China is not allowed to conquer its own prizes. It cannot fight wars to give its forces a new ports and bases; it is not even allowed build little artificial islands for the purpose. The decision then, lies not with them, but with us. An illiberal China is rising. No matter how nuanced our negotiation or how righteous our indignation, the Chinese will always feel that any attempt to get them to play by rules they did not have a hand in making is 1) morally wrong and 2) damaging to the Party's domestic power. They are interested in making a new order for the 21st century. In this the Chinese of today are not too different from the Americans of yesteryear. We forget that sometimes. There was once an era where Americans were the ones demanding that the shape of the world change to better match their values and interests. The question before us then is whether we can compromise with the Chinese on this, and if so where those compromises can be made. What form that compromise might take—spheres of interest are the classical model here, though others exist—is still up for discussion. If this is our path then these discussions must be had with fierce urgency. The alternative to compromise is containment. If we decide that any compromise with illiberal China would poison the international order beyond repair then we must move swiftly to contain China before its power grows further still. Our aim will not only be to restrain but also to reduce Chinese power when and where we can. This too will require spirited discussion, for containment is fraught with danger. We must ponder long and hard how we might go about limiting Chinese power without making the Party's domestic position so vulnerable that they see no alternative but war before them. Both paths before us require careful thought and vigorous debate if we hope to traverse them safely. These discussions are not happening. As long as we cling to the illusion that China has not made her choice they will not happen. The fruits of this foolishness are not hard to see: we do not contain yet we refuse to compromise, suffering the costs of both choices while reaping the benefits of neither. The hope that the Chinese will admit their wrongs and ask to join our rules-based club is a mirage. It must be given up. We hold to it only because we fear the responsibility the truth would force upon us. The Chinese have made their choice. The ball is in our court now. 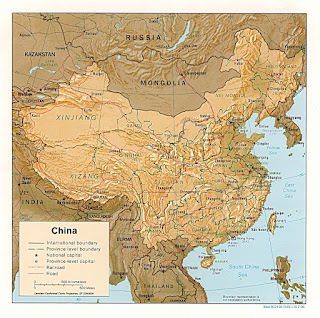 "China--Shaded Relief," (1996), University of Texas Perry-Castaneda Map Collection. EDIT (7/7/2016): Please see my two follow-up posts to this piece: "Arms and Influence.... and China," and "Costly Signaling in the South China Sea." John McCain, "The Choice for Asia in the 21st Century," War on the Rocks (3 June 2016). Carl Walter and Fraser Howie, Red Capitalism: The Fragile Financial Foundations of China's Extraordinary Rise (New York: Wiley, 2011), passim, but see esp p. 159. Bradley Peniston, "Pentagon Playing the Long Game in the South China Sea, Carter Says," Defense One (26 May 2016). Murphy, R. Taggart. Japan and the Shackles of the Past (Oxford: Oxford University Press, 2014), 352. T. Greer, "A Few Comments on China, Vietnam, and the HYSY981 Oil Crisis," The Scholar's Stage (22 May 2014). The way the Asian Infrastructure Investment Bank hullabaloo went down is a perfect example of all this. American incoherence and tone deafness, refusal to compromise or properly contain, wishful thinking instead of clear vision--it is all there. The Real Reason Chinese is "So Damn Hard"
The Tropical MBA podcast is one of the few I listen to religiously. Theirs is the premier podcast produced by and for 'location independent entrepreneurs,' which I'll define here as entrepreneurs who have built businesses that allow their owners to operate from just about anywhere on the planet--or at least anywhere on the planet with an internet connection. Everything from business strategy and branding to partnership and personnel woes are discussed on the podcast, along with the occasional episodes on the philosophy behind location independent lifestyle. Earlier this month the podcast invited Shayna Oliveria, founder of Espresso English, whose business model turns on transforming standard ESL lessons into a scalable, productized service. The interview was mostly about building successful Info Products in crowded markets (like English as a second language), but early on in the interview they ask Oliveria a question she did not have a solid answer for: how long should it take a person to learn a new language? I have not been able to find the original source for this infographic. It has been floating around the web for several years. It is based on data collected by the Foreign Service Institute, which is where members of America's diplomatic corp learn new languages. It is obviously designed with the native English speaker in mind; the languages which are easiest to learn are those whose grammar, vocabulary, and writing systems are closest to English. What this infographic labels 'Language Proficiency' the State Department calls 'Minimum Professional Proficiency." The minimally proficient individual can listen to a song and understand its meaning, watch a film without subtitles, converse freely on most topics without preparation, and read a newspaper aimed at a general readership and understand most of what it means. They can talk well enough to make their meaning clear in most situations, though they cannot do this elegantly, and speak with a strong accent. They could probably take a college course in the language in question, but it would be mentally taxing in the extreme. You would not want this person interpreting for you in a legal setting. Writing an essay in the target language would require triple or quadruple the amount of time a native speaker would take to write the same amount. The end product would be readable, but obviously the product of a non-native writer. The infographic has two measures of time: weeks and class hours. The second is the more important of the two. Students at the Foreign Service Institute are paid to learn the language they have been assigned; they spend close to five hours every day (except weekends) in class using the language. On the face of it it seems that most people cannot commit that sort of time to learning a new language. But that is not quite true--with a few brilliant savants excepted, everyone who becomes fluent in a new language spends just as much time learning their language of choice as the folks in the State Department do. To become fluent in Spanish you must actively use Spanish for more than 600 hours. Diplomats just pack those hours into fewer days than most people are willing to do. If you use Spanish for 25 hours of every week, you will become minimally proficient in 24 weeks, or a bit less than 6 months. If you are using Spanish for 10 hours every week, you will become minimally proficient in 60 weeks, or a little bit more than a year. If you are using Spanish for 4 hours every week, you will become minimally proficient in 150 weeks, or about three years. I should be clear here what I mean by "using" a language. Any situation where the language learner must actively work to communicate or understand the target language counts. Conversation counts. Reading a book counts. Actively listening to a speech or a film or the radio--as opposed to letting it passively play in the background--counts. I submit that even the rote memorization of vocabulary lists and grammar structures counts, with the caveat that this will not be sufficient if it is all the language learner does. Class can count, if classes are structured to force the learner to actively use the language the entire class period. A new language is an alien intrusion on the brain. Your brain does not want to deal with it. Any activity that forces your brain to do so will help you here. This is the hidden secret to language learning. Someone who spends 600 hours using cruddy textbooks and old fashioned methods will learn to speak a language better than someone who spends 100 hours with the world's best tutors, textbooks, and software. There are no real short cuts here. Yes, advances in cognition and linguistics can and should inform your language learning journey, and yes, it is easier to learn a new language with proper study materials than without them. However, nothing can replace being forced to speak, read, write, and listen to the language for hours on end, and real progress cannot be had without that. The temptation to over optimize your language learning process--to spend hour after hour clicking through blogs and websites on language learning, or reading review after review of different textbooks on Amazon.com--must be fought. In most cases you will be better off spending those precious hours simply studying the language and figuring out what works best for you as you go along. Add all this together and you'll realize that the most important trait of the ideal language learner is discipline. It takes discipline to devote all of these hours to learning a new language, especially in its early stages, when speaking is embarrassing, reading seems pointless, listening destroys confidence, and memorizing new vocabulary is unbearably tedious. Occasionally you will meet people are so passionate about a language or a culture, or perhaps just so in love with language learning as whole, that they rush to their drills and their study lists like sailors on leave rush to shore. These people are found few and far between. For most people grit is what carries them through--or cheap replacements for grit, like fear of a failing a final. "Immersion" is another common replacement for grit. Immersion is by no means a requirement for learning a second language. But for most people immersion is the best way to learn a language, and by now you should see why: in an immersive environment you do not have to rely on discipline and self control to force your brain to use the new language, because circumstances do that for you. If you do not learn how to buy food in the target language, you will go hungry. If you do not learn how to withdraw money from the bank, you will be penniless. If you do not learn how to find a bathroom, you will... well, you get the idea. A fully immersive environment can force you to use your new language every hour of the day. Most people go through their 600 hours quite quickly in such circumstances. But not all people do. Occasionally you will meet expats who wonder why their language skills are barely any better now than when they arrived in the country, and the answer is almost certainly that they have figured out how to survive without speaking the target language. They usually spend all their time reading English language websites or hanging out with English speaking friends. The number of hours they spend using the language is hardly any different than the number of hours they were spending back at home. This is the story behind those old migrants you meet in the back alleyways of America's Koreatowns and Little Haitis--they live in America, but have given up on speaking better English, and thus have arranged their life in such a way they don't have to use it much. In contrast, I regularly meet people here in Taipei who speak excellent English, despite never having visited an English speaking country in their life. They've spent the hours needed to drill English into their heads and now enjoy the fruits of their labors. Second language learning is for the most part a function of the amount of time you spend actively using the target language. How you study a language is less important than the amount of time you devote to actively using it. The only way to gain fluency in a second language faster is to increase the proportion of your time where you use the language in question. Which brings us to Chinese. The title of this post is a riff on a famous essay by David Moser titled "Why is Chinese So Damn Hard." It is a funny and well written essay, so if you have not read it before, go do so now. He offers a buffet of arguments, each contending that Chinese should be considered the most difficult language on Earth, and each is supported with a humorous anecdote or two. I do not think any of these arguments are incorrect, but taken together they offer a picture that is far more complicated than it needs to be. The real reason Chinese is so difficult is pretty simple, and it is best understood in terms of the language-study equation I laid out above. That problem is the characters. Now this is not the only hard thing about Chinese. As Moser points out, Chinese has few English cognates, and the cultural gap between Chinese speakers and English speakers is enormous (these are people who don't recognize references to Elvis, Darth Vader, or Santa Claus; most Westerners are just as blissfully unaware of the Chinese equivalents). But this is hardly unique to Chinese. I faced similar challenges when I learned to speak Khmer, but Khmer is still only considered a Level 3 language. Khmer and Chinese also both have relatively simple grammar systems--French conjugations are more complex than anything Khmer has to throw at you. On the balance Khmer grammar structures are probably slightly harder to to use than their Mandarin equivalents, if only because the pronoun system is so much more complicated than in Mandarin (and the consequences for using the wrong pronouns so dire), and Chinese syntax is usually a little less busy. The difference is that Vietnamese no longer uses Chinese characters. Characters are difficult for all the reasons Moser describes. But again, I think he over-complicates things. The real difficulty with learning Chinese characters is fairly simple: they must be memorized. All words you learn in a foreign language must be memorized, of course, but in Chinese you must memorize each word twice. You memorize a word once for its character, and once for its pronunciation. It is quite possible to memorize all of the characters without knowing the proper Mandarin pronunciation of any of them. This is how Koreans, Vietnamese, and Japanese have memorized Chinese characters for the last few millennia, and it is how books like Remembering the Traditional Hanzi teach you to do it today. Memorizing characters is not particularly hard. It is just time consuming. This is what pushes Chinese into the 2,000+ class hour range. It is not because its grammar is more complex, phonology more difficult, or culture more alien than that of the 1,000 class hour languages. It is simply because the person learning Chinese must spend an obscene amount of time on characters. I estimate that I spend around 60% of my Chinese study time memorizing and reviewing characters. An informal survey of other intermediate and advanced learners I know revealed that they do the same. How much better would our Chinese be if we could take that time we spend on character study and use it practicing any other language skill? Characters literally double the amount of time it takes to master this language. Which is why those who want to learn Chinese fastest skip them. This is what Benny Lewis did when he studied Mandarin in for his Fluent in 3 Months challenge. This is also what Mormon missionaries do when they come to serve here in Taiwan. Unless they studied the language before they served, the best can only write around 500 or so characters by the time they leave, though they can speak, very, very well. Which makes sense. They spend two years speaking the language day in and day out. They cram thousands of hours of speaking and listening into the first year and half of their service. By ignoring the characters altogether, they learn to speak more fluently than many foreigners who have been studying here for years, and in only a fraction of the time. The downside to this is that they can't read anything, including the Bibles and Books of Mormon they carry around! But that is the trade off built in to any attempt to master a language that is so damn hard. I recently talked with an American FSO here in Taiwan who last was stationed in Hanoi. He reported that the FSI actually recognizes that Vietnamese is more difficult than most other Level 3 languages, and says that it would give the language a 3.5 rating were it possible to do so. In light of this, it is the only Level 3 language where the FSI has a language learning center in country so that students can take advantage of an immersive environment. All other Level 3 languages are taught in Washington DC.